I blogged last month about my pleasure in reading General Gordon's diary from Khartoum while I was researching my novel Pharaoh, and how I particularly relished his attention to detail - describing everything with an engineer's eye, and calculating quantities and distances as closely as possible. One great advantage of this was that I knew that I could rely on his sketch maps as a basis for the maps that my publisher Headline created for the novel, both of which are reproduced here along with a printed original from Gordon's diary - in the case of the larger-scale map of Egypt and the Sudan, with additional detail derived from the equally dependable maps in the official history of the Royal Engineers in the Nile campaign. 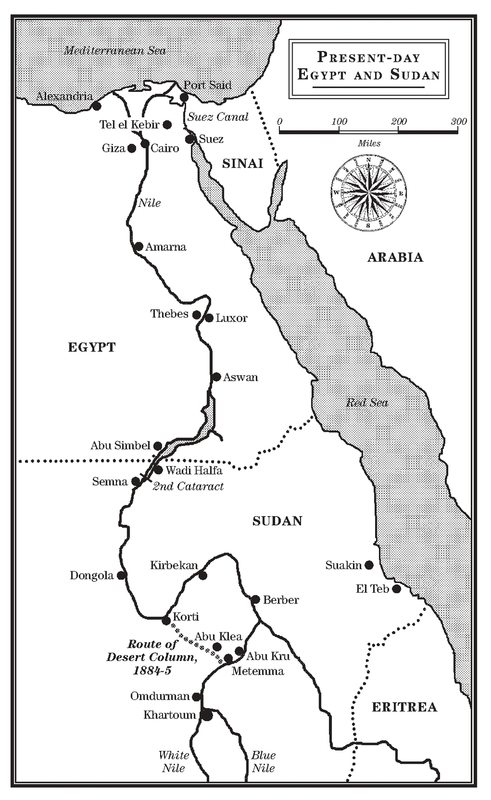 I used Gordon's own range-finding as a basis for calculating the distance across the Nile between the North Fort and the Governor's Palace, one of crucial significance in my novel in the final fateful hours of Gordon's rule in Khartoum before the forces of the Mahdi break through into the palace compound and Gordon makes his last stand. In this map you can see the short cut taken by the 'Desert Column' from Korti to Metemma, where they were meant to meet up both with the 'River Column' and the armoured steamers that had come down from Khartoum to take them upriver. In the event, the River Column never made it in time, and the Desert Column was stalled by the savage battle at Abu Klea and Abu Kru; the small force that was able to embark on the steamers for Khartoum arrived a day too late. Key settings in my novel are the Governor's Palace on the south side of the Blue Nile and the North Fort on the opposite bank, to the east of Tuti Island. To the south you can see the defensive walls that Gordon attempted to strengthen, and on the west bank the fort of Omdurman where the main Mahdist force was encamped and where Kitchener fourteen years later exacted his terrible revenge for the murder of Gordon. 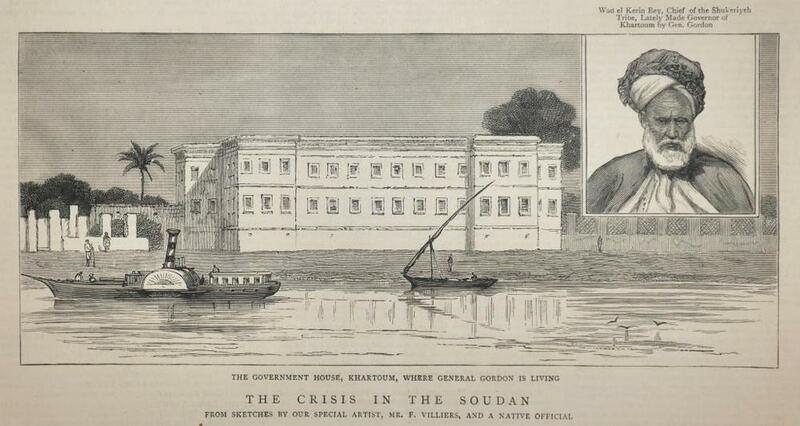 This engraving from The Graphic of 3 May 1884 gives a rare image of Government House, Khartoum - the Governor's Palace - as it looked during Gordon's occupation, including the entrance compound to the left and the muddy foreshore of the Nile at low water. The palace was used by the Mahdist forces during their years of occupation following the death of Gordon, and after the British reconquest in 1898 was demolished and replaced with a more lavish building. An excellent modern aerial view of Khartoum showing the Presidential Palace - on the site of the Governor's Palace of Gordon's time - and across from it the site of the North Fort, with Tuti Island in the background and the Nile in flood.